Port Charles Mug Shot. 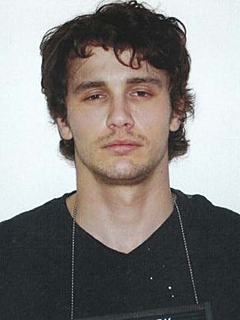 The Port Charles Police Department has released a the mug shot of artist Franco (played da occasional movie stella, star James Franco), who is accused of a serious crime in the fictional city featured on ABC’s hit soap General Hospital.. Wallpaper and background images in the James Franco club tagged: james franco port charles mug shot general hospital. This James Franco photo might contain jersey, t shirt, maglietta, tee shirt, t-shirt, ritratto, headshot, primo piano, and closeup.